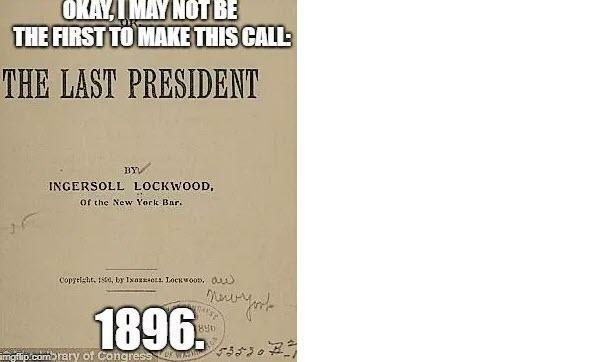 You never want to make the call too early. By the way, in this book, the name of the Last President was Pence. Oooh, goosebumps. Donald Trump may be the last President of the United States. There will certainly be people that will follow him that will use the title, but their allegiance won’t be to the electorate as a whole – their allegiance will be only to the Left. As we see in California now, the entire mechanism of state government has switched to a uniform Leftist government – the California Republican Party is as potent a political force as a group of twelve year old My Little Pony fans at an MMA event. The Governor isn’t the Governor of California, especially when he won in a 57% to 43% victory. The Governor is the Governor of the Left, and will represent the Left, not the electorate in general. The swing vote, which has moderated elections nationally is absent in California. The swing vote means that the most uninterested people have the levers of power. That category of people simply does not exist in California. Party leader? Sure. Governor? Well, in name only. In reality, the recently elected Governor is the Democratic Party leader. Recently, we’ve had contests at the national level for President – the swing voter makes a difference. Could McCain have won in 2008? No, not really, mainly because no one liked him. Could Romney have won in 2012? Maybe, but it would have been like electing your middle school principal as President. The fact that Trump did win in 2016 was relatively surprising to me. Trump’s victory did expose part of the genius of the founding fathers. Despite the popular vote being in favor of Clinton, Trump concentrated on and won the Electoral College. The Electoral College isn’t a genius move because Trump won – the Electoral College was a guarantee of the essential promise of the Constitution to the States that the small states wouldn’t get dragged around like a St. Bernard’s chew toy (small states hate slobber), but it also provided a trap against voter fraud and a mechanism for nearly instant legitimacy of the elected President. In order to cheat on a national election, you’d have to cheat in state after state after state. Cheating in New York City or even statewide in Texas alone won’t do elect a fraudulent President. And while it’s common it’s not unheard of: Trump is the fifth President to be elected by winning the Electoral College without winning the popular vote. I rarely agree with anything that Kristol has to say, so I think he might have been on Ambien when he tweeted that. But he’s right. And Bill Kristol being right makes me certain he was on Ambien. 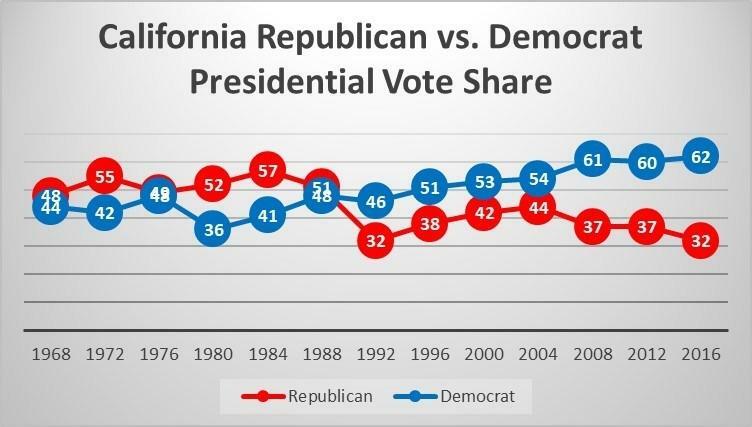 Before the Immigration Reform and Control Act of 1986, California was reliability Republican. After that law passed? California dived quickly into the Leftist camp – the primary driver being the rise of first generation citizens being allowed to vote – a group that strongly skews Leftist, by 3 to 1 or more. When I was a kid, California was a shining economic model of progress. Now it’s a poster-child for income inequality and poverty. So California’s got that going for it. 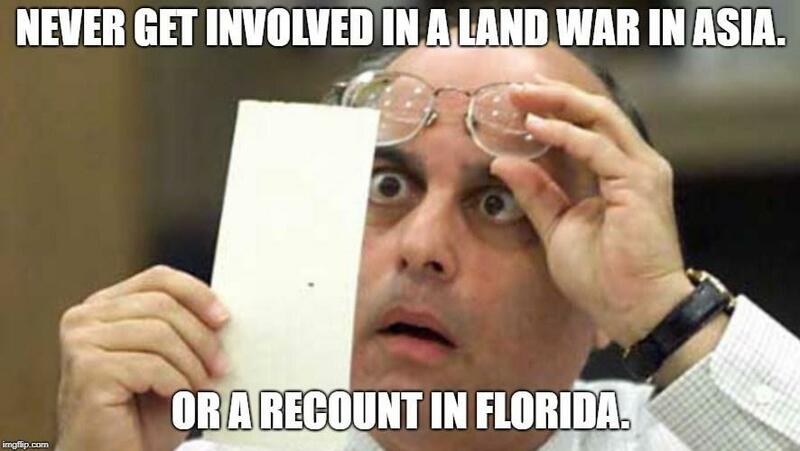 Florida has one major group that will impact future elections – newly-minted predominantly (5 to 1 Leftist) ex-felon voters approved by a Florida constitutional amendment just approved this election. 5 million ex-felon voters, which using extremely conservative math nets the Left 400,000 more votes. Donald Trump won by 110,000 or so votes. 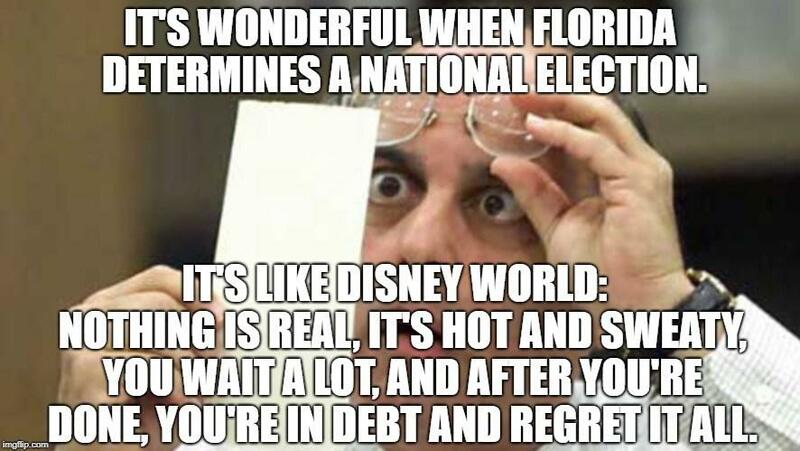 Additionally, we’ve seen that Florida is a mess after a close vote. With lots of “ballots I just found in the pocket of my other coat,” if you know what I mean. Wink, wink. Texas is moving Left. 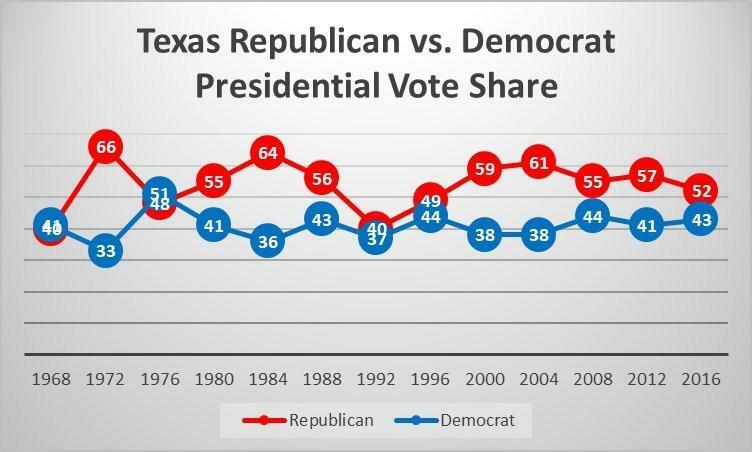 Yes, Cruz beat Beto, but those demographics that Kristol talked about appear here strongly, and I wrote about it before (The Fall of Texas and the Coming One Party State). Texas doesn’t turn Left in 2020 unless the economy really, really tanks. Probably 2024. Certainly 2028. 2032? Expect posters to Stalin©. The economy. It ran on 0% interest rates for years. 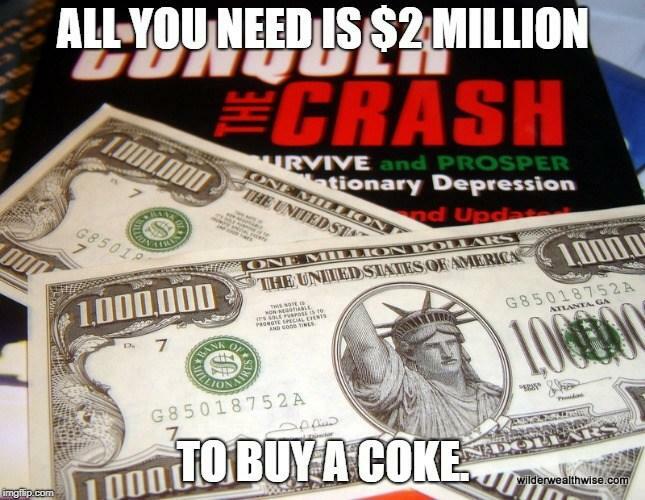 Now that the Fed is attempting to raise rates? At some point the party is over and the economy will hit a recession – probably before 2020. If Trump is lucky? A recession in 2019 would be good. Like right away. Presidents don’t do well running for re-election in the middle of a recession. It’s like trying to lick a flagpole at -40°F (-40°C) – it’s embarrassing to be there and requires the fire department to save you. Ask Jimmy Carter. The process of drawing legislative voting districts to benefit your party is as old as the Republic. 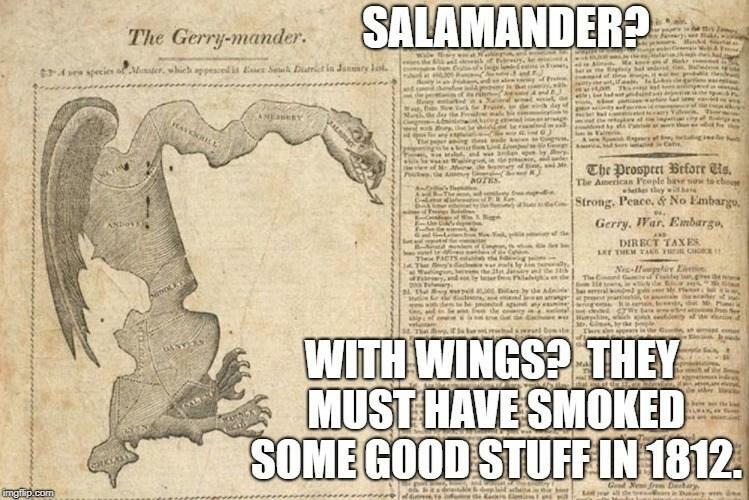 It even has a name, gerrymandering, named after Elbridge Gerry, governor of Massachusetts when they said the strange congressional district he created looked like a salamander. Gerry+salamander=gerrymander. Or maybe it was his wife, whose nickname was “Lizard Lips.” Republicans have 33 governorships, so they’re getting pretty good at drawing districts that would make Gerry proud. But the Left is using judges to undo the creative districting, which makes it rougher to gain a majority in the House of Representatives. What happens when they move there? Well, being normal Californians, the first thing they do is get on the Homeowners’ Association boards, because people from California really like telling other people what to do. My brother attended a meeting of his board one night. Sage McUnicorn, who had recently moved from California, motioned that the new trash company collect recyclables every week. My brother’s argument actually swayed the HOA. They didn’t end up with a recyclable fee. But the point remains: Californians who leave California because it is, well, California, want to move to new places to make them just like California when they get there. It’s like when zombie bites you, but you get a lecture, too. I took this picture in California in February of 2016. I hear now the water is recycled right out of the toilet to the water fountains. I guess that’s why I only drank wine when I was out there. Trump in 2020 has headwinds against him. In 2024, however, all of the demographic changes have continued another four years. Texas may be as permanently left as California has become, and Florida may have joined it, if Florida can figure out how a pocket calculator works by then. Without Florida? Re-election looks grim even in 2020. If every future election has a foregone conclusion, that leaves the President as a single party leader of the Left. And in Washington D.C. the Left has been consistently more disciplined on voting, though they do tend to form circular firing squads on policy. Given the thin Senate majority now, another decade of demographic change might allow truly uniform and consolidated power as all legislative bodies are captured along with the Presidency. And at that point the United States is a de facto single party state, with a minority party that is just for show. A list of single party states that look like this includes such human rights wonders and great vacation spots as Turkey, South Africa, Venezuela and Zimbabwe. I mean, who wouldn’t love to live in those places? Next Monday . . . we’ll look more how this sets up a Civil War. But smile. 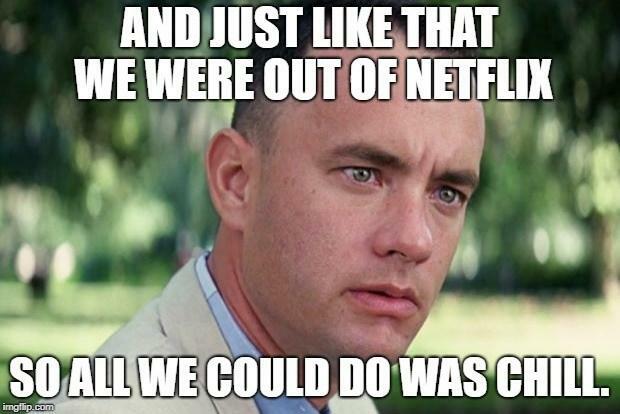 We have Netflix® now, right?